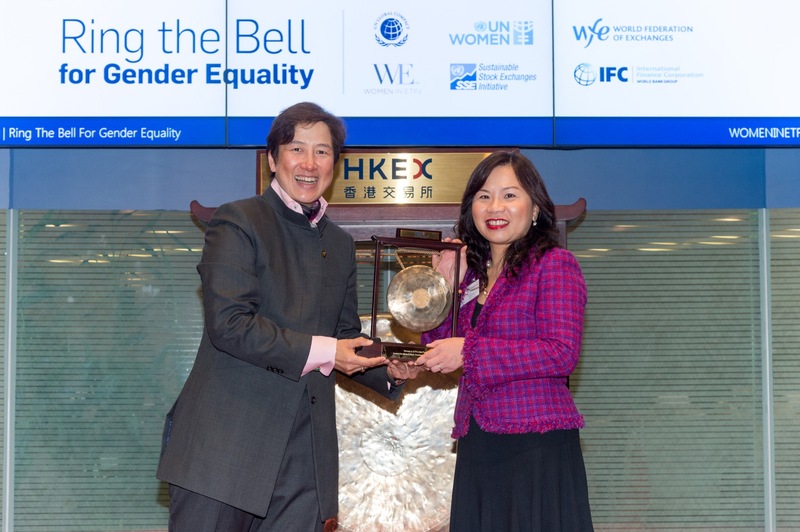 To celebrate International Women’s Day, on 8th March, WE Hong Kong was delighted to be a part of the Bell Ringing Event at the Hong Kong Exchanges and Clearing Limited (“HKEX”). 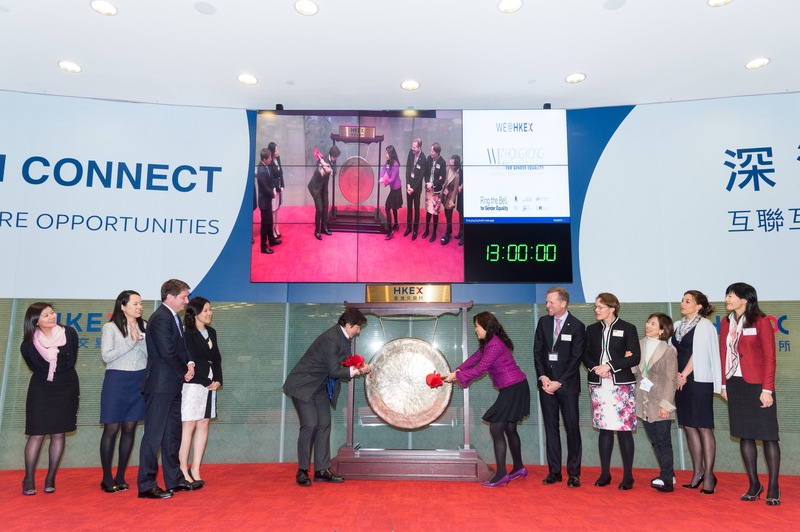 To celebrate this important day, our WE Chapters across the globe held similar events at their local exchanges to ring the bell for gender equality everywhere. 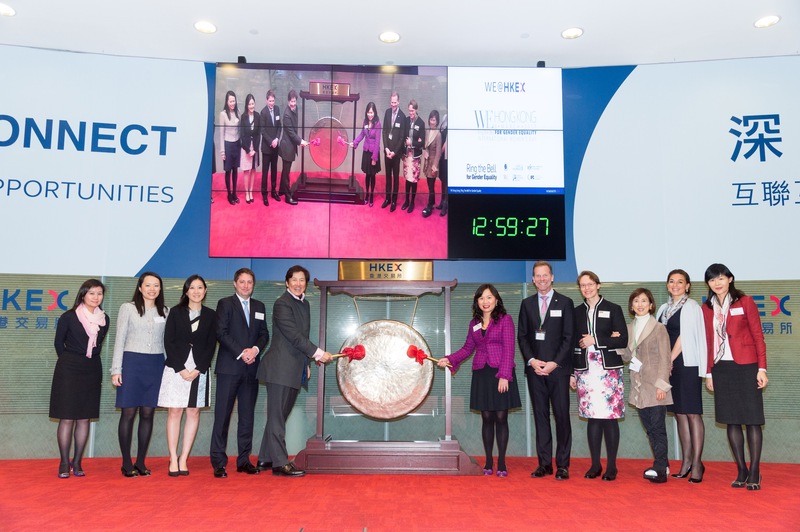 This date also marked the 2nd year anniversary of our Hong Kong Chapter, giving us an additional reason to celebrate. 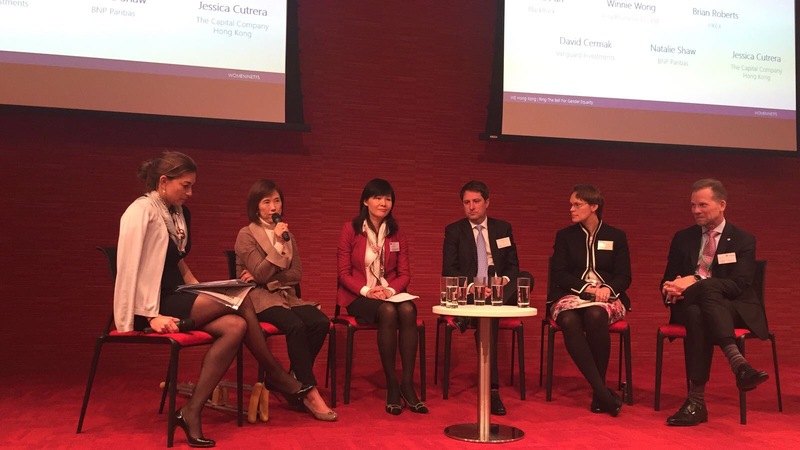 Following the hitting of the “gong” (the Hong Kong version of the market opening ceremony), WE Hong Kong welcomed six industry leaders to join a panel to discuss the importance of women at work to sustainable development and business. The discussion was moderated by Natalie Shaw, Managing Director and Head of Distribution of Cash Equity, BNP Paribas Global Market. She was joined by Winnie Pun, Managing Director and Head of Government Relations for Asia Pacific Region, BlackRock; Winnie Wong, CEO, Asia Insurance Co. Ltd.; Jessica Cutrera, Founding Partner, The Capital Company Hong Kong; David Cermak, Managing Director and Head of Asia, Vanguard Investments; and Brian Roberts, Senior Vice President, Head of ETFs, HKEX. With a 50% increase from the number of attendees last year, the panel discussion was well received from all participants.